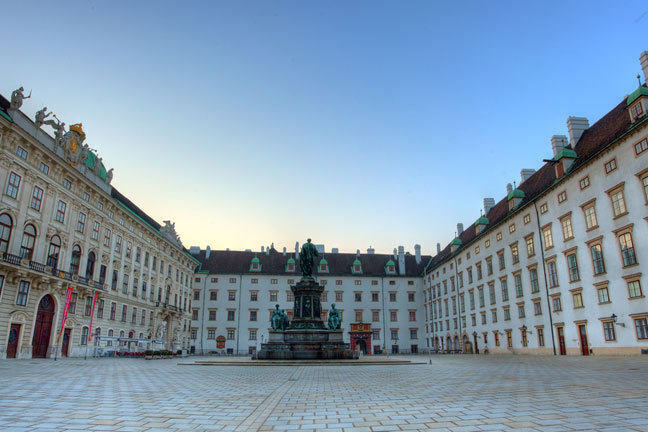 Hofburg Palace, Vienna, where much of the diplomacy of the Congress and socialising took place. When the Emperor of Austria invited his fellow sovereigns, the Tsar of Russia and the King of Prussia, to Vienna in the summer of 1814, it was never the intention that the Congress would be solely about diplomacy. Peace had already been made and the meeting was intended as a celebration of that achievement, of the conclusion of two decades of war. This was to be a royal and imperial spectacle from the moment the sovereigns met a little outside Vienna on 25 September 1814. There was, however, some business to be done. What were the main areas for discussion at Vienna? The Treaty of Paris of 30 May 1814 had set out in detail the borders of France, but recognised that in trying to re-establish a stable order in Europe many territorial questions remained to be settled. Article 32 of the treaty committed the powers assembled in Paris to send plenipotentiaries within two months to Vienna to continue the work — this was an opportunity to consolidate arrangements. From a diplomatic perspective, the Congress of Vienna — as it came to be known — in practice much like a modern summit or international convention, brought together the powers of Europe and their sovereigns to address a series of questions. The allies needed to decide how the spoils of Napoleon’s Europe were to be reshaped. There were two key territorial questions: how were the Polish lands to be divided (Russia wanted the greater part of them); and whether King August Friedrich of Saxony, who had been a firm ally of Napoleon, would retain any or all of his lands (Prussia sought all of them). Britain’s position in these negotiations was one of strength: the reputation of her armed forces, her army as much as her navy, stood very high — indeed, it was the news of Wellington’s victory at the Battle of Vitoria (21 June 1813) that had induced others, such as Prince Metternich, the Austrian Chancellor, to believe that it was worthwhile to engage in war against Napoleon once again. Were the allies united at Vienna? By the end of 1814, however, the unity of the allies had broken. The diplomatic meetings were far from harmonious, and the session of 31 December saw bitter divisions. England and Austria were determinedly opposed to concessions to Russia and Prussia; Prussia threatened war if no territory were granted to her; and Russia was implacably hostile to opening the Congress to French participation. Britain’s principal representative was her Foreign Secretary, Lord Castlereagh, who negotiated a secret agreement with Austria (represented by Prince Metternich) and France (represented by Prince Talleyrand) which would bind the three powers together against Russia and Prussia. This secret treaty was not signed by the three parties until 3 January 1815: the other powers knew of its existence shortly after. Beyond this, the diplomatic position was changed, literally, overnight, with the news that on 24 December 1814 Great Britain had agreed peace with the United States of America by the Treaty of Ghent. Negotiations over Poland and Saxony restarted at once. In Castlereagh’s words, ‘we have become more European and by spring can have a very nice army on the Continent’ — that is, Britain was now capable of using her highly successful army in a land war in Germany to influence the territorial pattern of the Continent, in ways that she could never have done with the Royal Navy alone. Agreement about Poland and Saxony was reached in February, although the treaties relating to these territories were not executed until May. How did the Congress reshape relations between states? A crucial development of the Congress was the notion that the course of international relations should not be shaped by individual countries looking endlessly for advantage, but that there should be a more general framework for peace and stability — that collective security was a greater goal, and that there should be no repetition of the chaos of conflict of the preceding two decades. 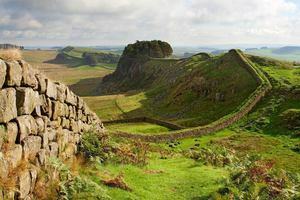 The paradox was that, if there were to be a system like this, with settled territorial boundaries, the greatest chance for states to gain land was in the negotiation leading up to the establishment of the system. This was to ensure that tempers at Vienna were far from even. The Congress also went some way to recognising principles of what constituted nationality, particularly in its discussions over Poland — even if it did not support them in the final territorial arrangements that were made. Prussia, however, after the treaties of May 1815, pointed up both German and Polish national identities — the Russians also making reference to the place of the Poles among the Slavic nations. 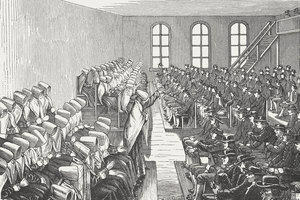 What was a nineteenth-century Congress like? The business of the Congress was largely done in a male world of rulers, diplomats and military men. There were great attractions to face to face diplomacy, bypassing the difficulties that came from using representatives at a distance from home courts. The work of the Congress was divided between two principal commissions, one with representatives of all eight powers that had signed the Treaty of Paris, to look at matters of European concern; and a second group, Austria, Prussia, Hanover, Bavaria and Württemberg, which worked on a constitution for a German confederation. Yet there was another world at the Congress: the discussions in the salons of Vienna were an important element in framing public opinion. 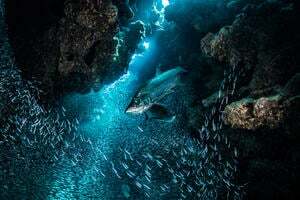 Here the delegates might mingle with the elite world more generally, not least the hostesses, wives, friends, confidantes and lovers, who all might contribute. This was an environment in which politicians and diplomats might test ideas, build parties in support of them and which might lead to wider discussion in the press. At the same time, public and religious spectacle played an important role in the Congress, celebrating peace and demonstrating the opulence of the Viennese court, in balls and other festivities. The work of the Congress was not concluded until the execution of the final act on 9 June 1815, and even then there were difficulties. Spain did not sign, parts of the material had to be backdated and, as the leaders of the powers dispersed against the background of likely military action against Napoleon in the Low Countries and elsewhere, it was difficult to obtain signatures — the Russians did not add theirs until 27 June. These difficulties notwithstanding, the triumph of Vienna was a long-term one, underpinning the security of Europe over the next century: a system in which treaties were crucial to international law, and an understanding that recourse to warfare was not the primary way of resolving conflict, that there was more to be gained from common and mutual security in preserving peace. Jean-Baptiste Isabey (1767–1855) was the unofficial portraitist of the Congress. He had worked extensively for Napoleon, and continued his career under Louis XVIII and his successors. This drawing was commissioned in 1815 by Prince Talleyrand, the principal French representative at the Congress, to show the delegates. 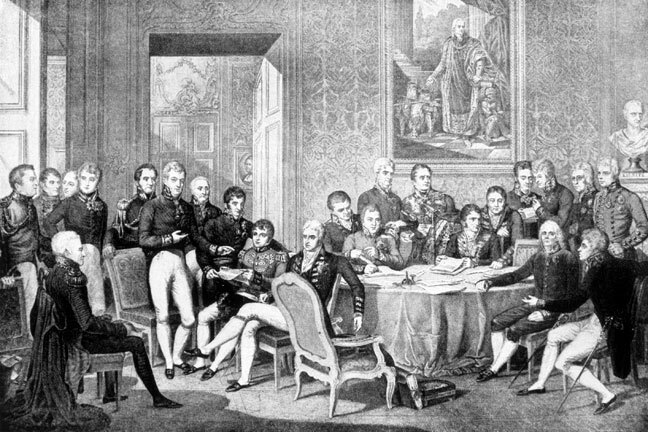 The scene, said to be in the house of Prince Metternich, the Austrian Chancellor, is a composition based on individual portraits, and may represent the point at which the Duke of Wellington (standing in the window at the extreme left) took over as the British plenipotentiary from Lord Castlereagh (the right hand of the two seated figures with their backs to the table, in the centre of the picture), on 3 February 1815. This engraving was published in 1819. The original watercolour was exhibited in London in 1820 and was purchased by George IV: it remains in the Royal Collection.